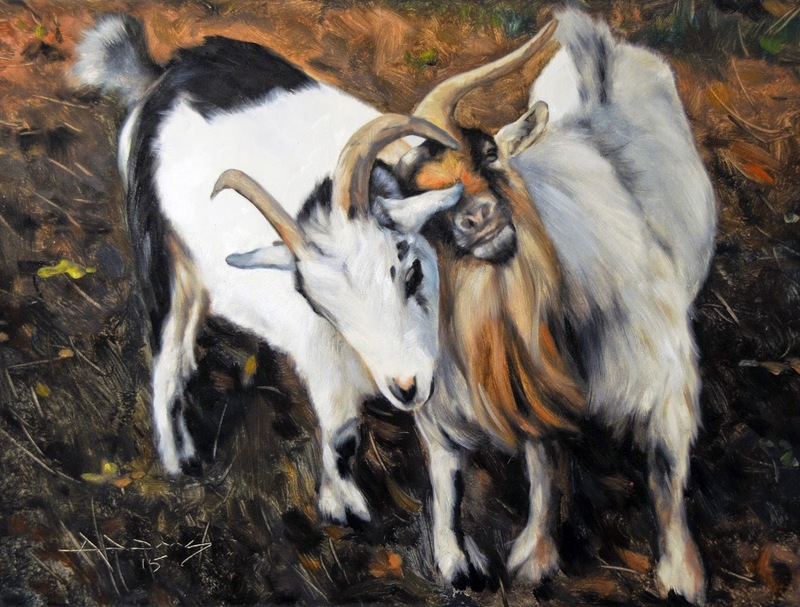 Mark Adams Studio: "Locking Horns"
You really captured their personality It is hard to photograph paintings. Sometimes that is the hardest part of my day. It usually happens when there are reds/oranges in the painting.